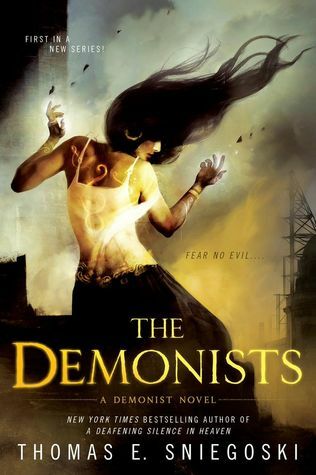 The Demonists by Thomas E. Sniegoski marks the start of a new series. John Fogg and Theodora Knight are paranormal investigators; hosts of a popular television program. During a Halloween special where the couple and their team investigate a house filled with dark energy, a supposed haunting, things suddenly take a horrific turn as malevolent forces kill John’s team and leave Theodora in a catatonic state; possessed by countless demonic spirits. Confronted by the veil now inhabiting his wife John must face off against threats both worldly and otherworldly in order to save the woman he loves. 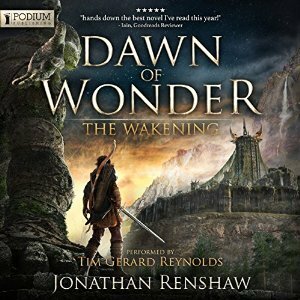 A traditional “farm boy” coming-of-age fantasy Dawn of Wonder by Jonathan Renshaw was exactly the type of book I was looking for at the time. Son of a common born forester Aedan is a curious and adventurous boy who is propelled by tragedy early in the novel on a journey of growth, discovery, and vengeance. Renshaw has a light touch when it comes to magic and while elements both magical and monstrous appear in the novel the focus remains firmly focused on Aedan and his growth over the course of his adventures. 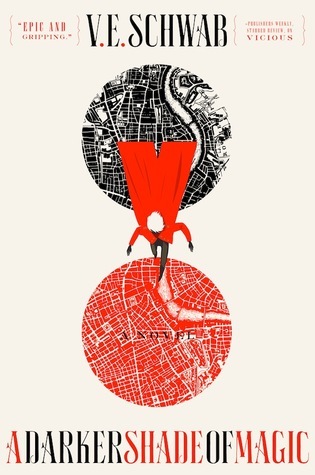 My first experience with author V. E. Schwab was through her middle grade/young adult novel, The Archived (which she published as Victoria Schwab) a novel that is a bit darker and subtler than one would expect given its target audience. I later listened to the excellent Vicious on audiobook and its genre-bending take on a superpowers that examine some familiar comic book tropes in new and intriguing ways. Both novels set a high bar for what I, as a reader, except from Schwab. A Darker Shade of Magic, is the most traditional of Schwab’s novels that I’ve read but with enough of her own subtle touches that it easily keeps pace with her previous work while also managing to be one of the most entertaining fantasy novels I’ve read in recent years. Jeff Saylards Bloodsounder’s Arc comes to a close in Chains of the Heretic an entertaining and exciting final entry in series that hearkens back to Sword and Sorcery stories of yesterday. 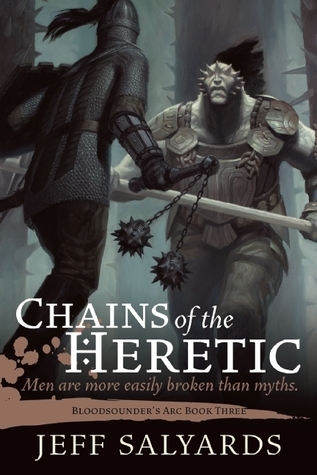 The action in Chains of the Heretics picks up mere moments after the previous book so if you haven’t read any novels in this series watch out for spoilers. Betrayed and on the run Captain Killcoin, Arki, and the soldiers of Jackal Tower must resort to desperate measures in order to make a rendezvous with emperor-in-exile Thumaar. Unfortunately, with the Emperor Cynead’s forces hot on their heels getting away alive isn’t going to be easy. Dire straits lead to dangerous decisions and Captain Killcoin and his Syldoon soldiers have to face a variety of threats, both expected and unexpected, over the course of their journey. Javelin Rain is the sequel to Gemini Cell. Both novels take place in Myke Cole’s Shadow Ops world albeit before the events in Control Point (review), Fortress Frontier (review), and Breach Zone (review). 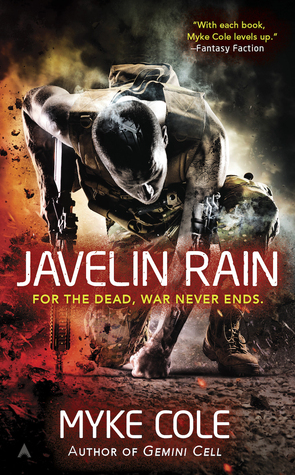 Javelin Rain continues the story of US Navy Seal Jim Schweitzer as he fights for his family against the nefarious Gemini Cell; the seemingly government sanctioned operation that turned him into the monster he is. The Pax Arcana series by Elliott James is one my favorite recent additions to the urban fantasy scene. 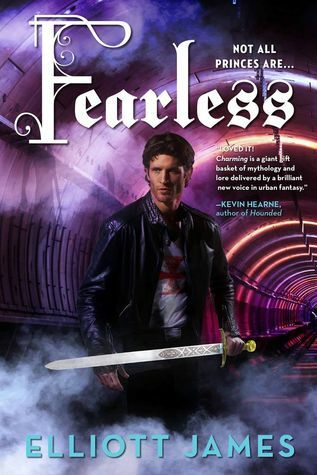 Fearless, is the third novel in the series and continues the series excellence. One of the things that I find interesting about this series over some other urban fantasies is that its setting is particularly unmoored. John Charming’s past, particularly his having been on the run for so long, means that sense of place that for me is a strong part of the urban fantasy genre is instead refocused onto John himself and the home creates (or is trying to create) with the people he surrounds himself with. While Fearless and the Pax Arcana series buys into many of the familiar tropes of its subgenre the laser-like focus on John himself, and his peculiar brand of self-awareness, lend the series a surprisingly different feel. The uniqueness of the series is further enhanced by the menagerie of supernatural creatures that James includes throughout the series. Fearless, in particular introduces a whole new cast of creatures both terrifying and surprisingly normal from a variety of cultural backgrounds with a strong focus in Japanese mythology. Boy’s Life is a classic, awarding winning novel (the 1992 Bram Stoker Award for Best Novel as well as the 1992 World Fantasy Award for Best Novel) that is at its core an elegy for youth and childhood. It ranks as perhaps the fourth novel* that actually managed to make me cry. 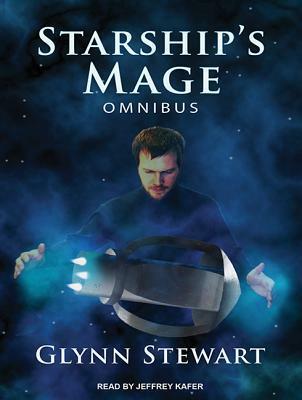 What You Need to Know: Originally published as five serialized novellas released from December 2013 through December 2014 the Starship’s Mage: Omnibus is a spaceships and sorcery novel of high action and adventure set in a version of our future where magic has enable us to journey beyond our own solar system. 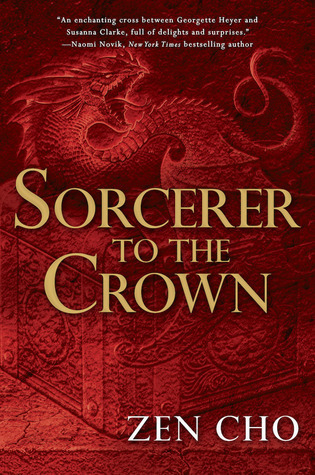 Sorcerer to the Crown by Zen Cho is the author’s first full-length novel. Set in an alternate Regency-era Britain where the Society of Unnatural Philosophers as the official, government-sanctioned body in charge of shepherded English Magic and English Wizards. Due to the unfortunate death of his former mentor the emancipated slave Zacharias Wythe has become Sorcerer Royal. Zacharias’ unwillingness to speak about the nature of his mentor’s death combined with the color of skin make him a fast target of many of his fellow ambitious sorcerers. Meanwhile, Prunella Gentlewoman is a brash young woman who works for a special school for women with magical gifts; a school where young women learn to suppress their magical gifts in order to be proper ladies. Orphaned at young age Prunella is not very scrupulous when it comes to using her own abilities and the chance discovery of some of her father’s personal effects changes the course of her life. 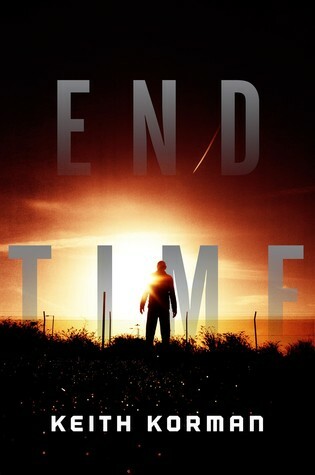 End Time isn’t Keith Korman’s first novel but it appears to be his first solo novel written in quite some time. As a fan of the apocalyptic genre I was definitely intrigued by the title alone. The publisher’s description of the novel reads like a fascinating mashup of science run amok and a rising tide of supernatural occurrences. I found this to be an interesting combination and one that we don’t see too often. Unfortunately I found End Time’s combination of supernatural horror and weird science a bit too hap hazard.